Below is an interesting and creative method for innovation. 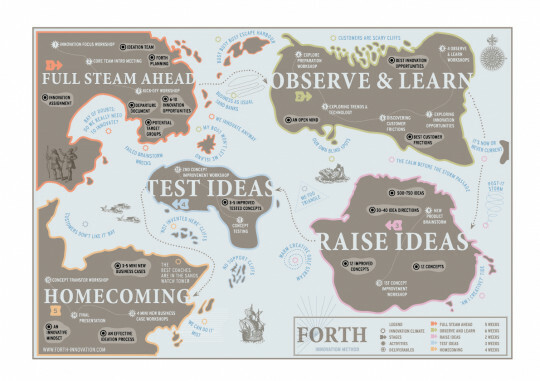 It is the Forth Innovation Map and it is designed to structure the chaotic start of innovation. Coming up with quality ideas and effectively implementing them is a challenge and sometimes demands viewing problems with different lenses. The Forth Innovation Method is not necessarily the “holy grail” for your innovation process, however it does provide an interesting perspective.